This is the real world! And that means your colleagues have to believe in BPM as much as you do. No BPM initiative can exist in a vacuum, as they need both financial backing and strategic direction from decision-makers. Achieving this sort of buy-in is not always easy, especially given the low awareness of BPM among end business users. With these four tactics, however, you can get everyone on board and engaged in your big BPM idea. 1.) Convey the value of BPM in understandable terms. Process management is not an intuitive concept for many people, even experienced business leaders. The first key in achieving buy-in is to make sure all stakeholders understand exactly what BPM is and the value it provides. Your boss probably isn’t concerned with whether or not the tool adheres to strict BPMN 2.0 standards. Rather, explain to her that this language was expertly-designed to make workflow diagrams intuitive, thereby reducing the risk of mistakes in day-to-day tasks. Avoid being too technical and always remember your audience. 2.) Make the current problems feel real. Humans are creatures of habit, and after a while bad processes can start to feel normal, or even good. If your colleagues don’t feel there are problems to solve or areas for significant improvement, they will never fully invest in a BPM solution. Highlighting real-life examples of how bad processes affect individuals can create a strong emotional response. These individuals give a face to the issues and are symbolic of how the entire business is negatively impacted. 3.) Engage other believers. Buy-in experts refer to this tactic as “building a coalition.” The more people you can get in your corner, supporting your ideas and providing further first-hand experiences, the more urgent and legitimate the initiative will seem. Your BPM coalition should include those with a mix of organizational credibility and executional expertise. This likely means enlisting IT leaders, managers and some process participants. 4.) Anticipate specific questions and roadblocks. Is the person that needs convincing typically very focused on costs? Assure them that the initial investment in BPM will quickly be recouped thanks to cost-saving optimizations. Are they so busy they can’t imagine anyone having the time to sit and document processes as opposed to carrying them out? Explain how putting in some effort now will save your business countless hours of unnecessary work in the long run. 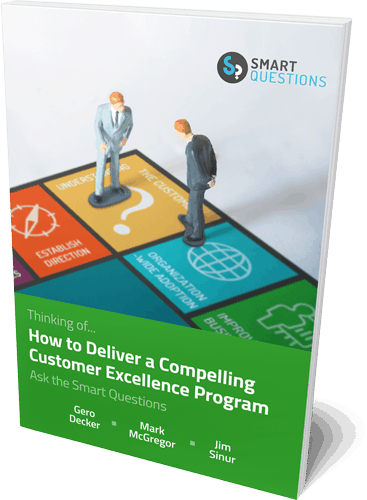 Regardless of your audience, you are likely to be met with legitimate questions about both the overall vision and fine details of your proposed initiative. Fielding questions convincingly is an art in and of itself, but you should at the very least have some planned responses. Getting a BPM initiative off the ground can be difficult, even for a seasoned modeler or consultant. Don’t let inertia stand in the way of your business achieving its goals! Always (1) simplify the benefits of BPM, (2) make sure your audience feels the gravity of the situation, (3) build a group of supporters and (4) prepare yourself for potential hurdles. Once you’ve gotten started, you should continue to be a champion for BPM within the organization and advocate for process adherence whenever possible. Finally, don’t forget to check out the free 30-day trial of our BPM tool, the Signavio Process Editor. Its intuitive interface and collaborative features make it easy to engage your colleagues in a BPM dialogue and quickly get everyone excited about process modeling.